Rope Rescue – Games for Android 2018 – Free download. 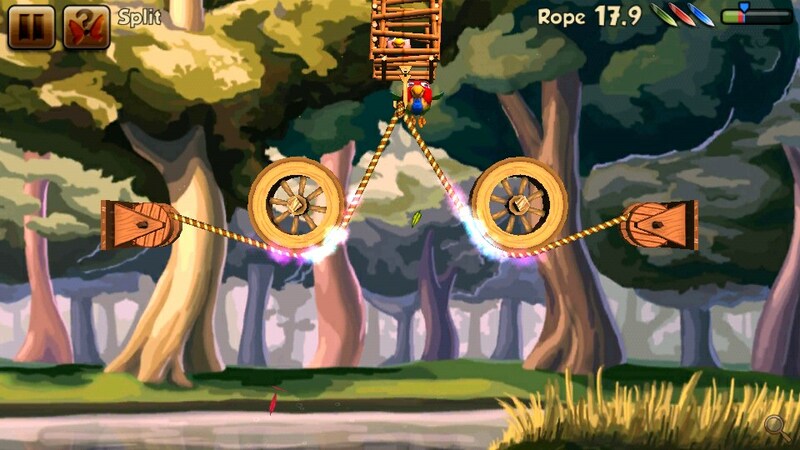 Rope Rescue – Save the parrots from getting bald. 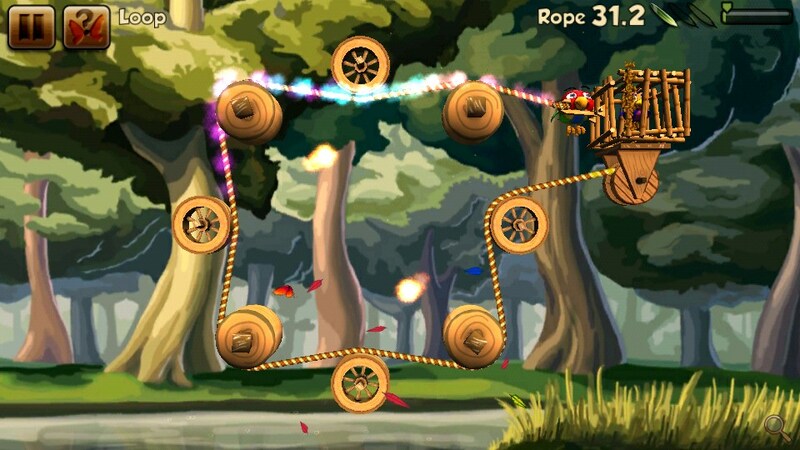 Rope Rescue is a wonderful arcade game with puzzle elements in which you have to deal with the release of hatchlings parrots. Malevolent king bats tired of his own mediocrity and ordered his subjects to catch parrots, then to povydergivat their colored feathers and implant them in their skin. Chicks really began to disappear, and it is very excited about the adult parrot Rupert. Find chicks was not difficult, but they were locked in cages. It is finding the right solutions and rescuing colored chicks and you have to engage in this exciting game. You will manage the aforementioned Rupert, and the only thing that is required is to drive on the device screen with one finger. So, in order to rescue the chick out of the cage, you have to open it by hooking the hook of the rope. One would think that could be easier? But the caveat is that the rope is necessary to navigate through all available on the field coil. Only then toss the hook to which to tie the rope. Once the hook is tied, the rope rewound to the first block and open the cage, and the chick takes off at will. In principle, in which there would be no big deal, if there was no other noise exposed bats as traps. The latter may be floating in the air knives or open flame lights, flying up to a certain height. Worth a knife to touch the rope, as she will be cut, and you have to start the level again. If the rope gets the fire, it will burn, scorching of the parrot, and it will also lead to defeat. As well as the protection of juveniles will play themselves bats. If they get to the parrot, he dies. The less you use the rope to open the cage, the more comp points will earn. 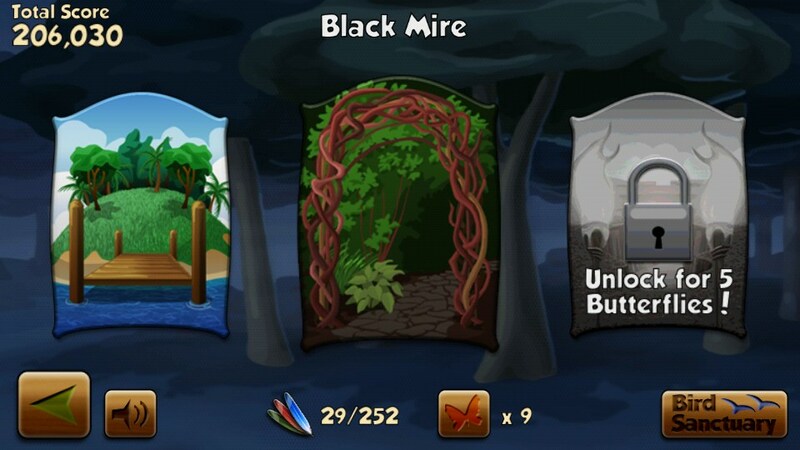 During the game you can get and extra game points. For this you will have to save butterflies stuck in strange substance. To save the butterfly is enough to rope a translucent cocoon, which subsequently collapse. 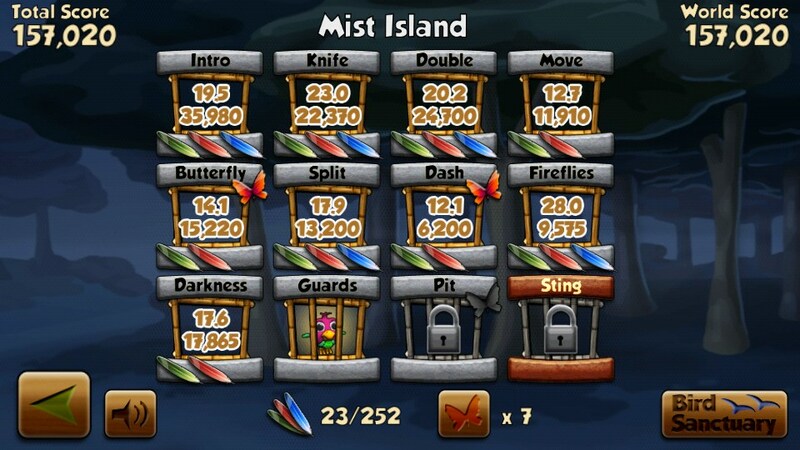 By the way, the release of butterflies will allow you to discover new locations and levels. Rope Rescue received a very high quality hand-drawn graphics and excellent animation. Sound consists of mysterious music and a simple set of sounds belonging to characters the game and its inanimate elements. Toys have a truly fascinating and fans of the genre will love.